Specifically, Greek swimming pools. We are always reminded of them now whenever we hear news of the financial crisis plaguing Eurozone member countries. Every time, without exception, news of property market bubbles, sovereign debt, IMF bailouts, governments collapsing and violent street protests, including pipe bombs set off by domestic anarchists, not only from Greece but also from Ireland, Portugal and Spain — they inevitably conjure up Suprematist images of shimmering Aegean exclaves. This is because, as reported by Spiegel last year, Greece has been using creative ways to boost tax revenues and lessen the country's crippling government deficit. 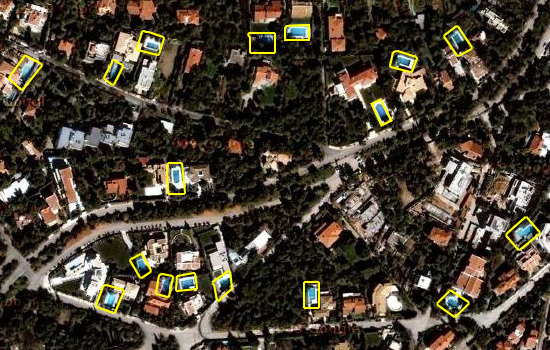 These include using Google Earth to find the swimming pools of tax cheats. If you haven't already heard, the Hollywood superstar contracted malaria while on a trip to Sudan earlier this month. He was there to observe the voting for independence in Southern Sudan and to draw attention to any humanitarian abuses that might arise during and after the referendum. He has since been cured. No doubt a far less physically taxing way to draw attention to any conflict is through another George Clooney initiative: the Satellite Sentinel project. 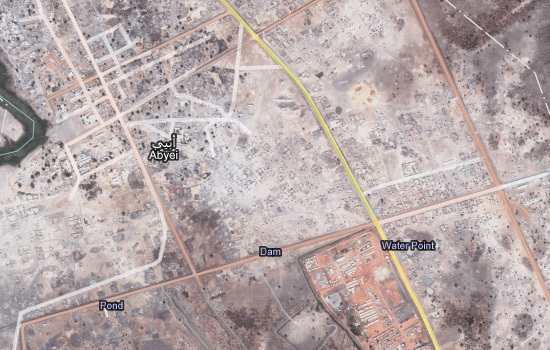 A collaboration between Google, the UNITAR Operational Satellite Applications Programme (UNOSAT), Harvard University and celebrity-backed NGOs, the project hires private satellites to monitor signs on the ground that could indicate impending violence, such as troop buildup and movements. The images gathered by the satellites are being made public to let would-be aggressors know that the world is watching them. “We are the anti-genocide paparazzi,” says Clooney. 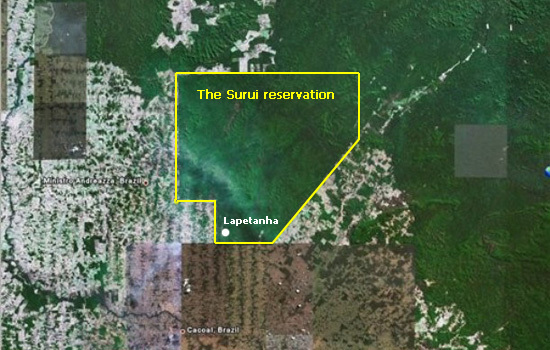 Last year we read about the efforts of the Surui Indians in Brazil to protect their land reservation. “Almost three times the size of New York City,” their patch of the Amazon rainforest is constantly threatened by farmers, loggers, ranchers and gold miners from all sides. They've lost some of their forest to deforestation, but managed to save the rest. In order to protect what's left, they've teamed up with Google to capture high resolution satellite images to better spot illegal activities on their land. Every inch of their forest will be mapped and displayed on Google Earth. ...before getting to the topic at hand: food. Tax collectors, tech-savvy indigenous tribes and George Clooney aren't the only ones using remote sensing and GIS applications to monitor and catch acts of criminality. There are also the crop cops at the U.S. Department of Agriculture's Aerial Photography Field Office. Farmers may seem like trustworthy people, but the U.S. Department of Agriculture is taking no chances. 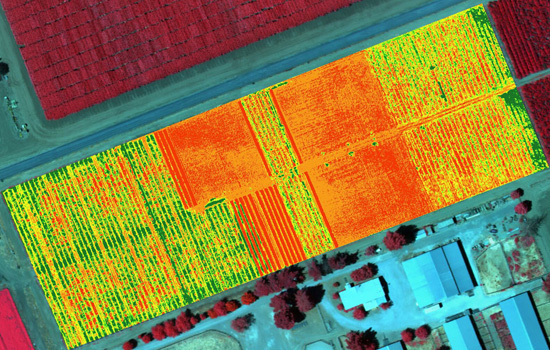 It's spending tens of millions of dollars to create an enormous computerized map of every farmer's field in America. The program is intended to make sure farmers are doing what's required to earn their government subsidies. It's an enormous task, keeping track of those subsidies. They add up to billions of dollars each year and they go to more than half a million farmers, scattered from Maine to California. Some farmers receive payments for protecting streams and wetlands; others, for growing specific crops. In each case, the payments depend on accurate information on the amount of land involved. So the USDA has resorted to a program of overhead reconnaissance — something akin of spy flights. The December 2010 index of global food prices compiled by the U.N.’s Food and Agricultural Organization (FAO) hit a record 215, one point higher than in the spring of 2008. In fact, some food products, including sugar, cooking oils, and fats, are now trading substantially above their 2008 levels; others, including dairy products, grains, and meat, are inching perilously close to record levels. So we'll we see more conversion of greenbelts into croplands? And will there be that one farmer who's going to keep their plump subsidies, courtesy of foreclosed and unemployed taxpayers, while plowing yet even more riches from destroyed wildlife habitats? But what's a post without a (regurgitated) proposal: The Distributed Bureau of Agricultural Crime Investigation. The problem with the National Agriculture Imagery Program is that there's just too many farms and too few analysts. Actually, we don't know if there are in fact too few analysts to pore through all those maps. It may be that just one cartographer is that's needed to comb through all the maps of Kansas and can do it in a couple of days. But why not crowdsource it? Why not release the maps (that is, wikileak them, as they aren't in the public domain due to privacy matters) to the internet wilderness of distributed grid computing, data pornographers, meme-hungry social networking sites, open source virtuality and web-savvy eco-guerrillas? It'd be like Einstein@home, a citizen science project which last year discovered a “disrupted binary pulsar” that may be the fastest-spinning of its kind. But instead of surveying the universe for distant remnants of supernovas, the teeming Web 3.0 masses use their collective clicking power to survey much nearer terrains. 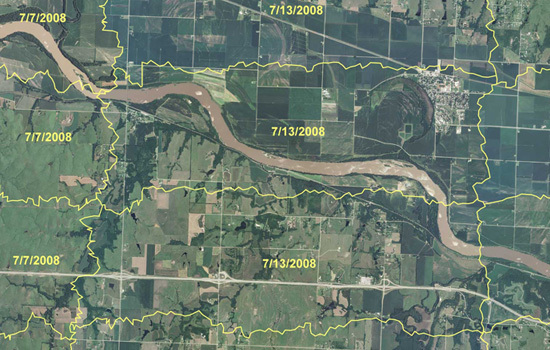 Imagine thousands of Google Earth addicts as citizen crop cops panning through digital screens in search of horticultural counterfeits, hours on end trying to spot cornfields where there should be reconstructed prairie or wetlands. This may even be the only time they get to interface with that other wilderness beyond the urban periphery — with Nature — for an extended amount of time. Protecting your tax dollars while saving the environment — and enjoying the outdoors. This post is part of Food for Thinkers, a week-long series organized by Nicola Twilley for GOOD’s newly-launched Food hub. On Twitter, follow #foodforthinkers. I've seen quite a few proposals to use Mechanical Turk for imagery analysis. If you're looking for discrete features like swimming pools, it's not a stretch. Its interesting to see how google maps has helped the government, but interestingly enough google maps also gave Nicaragua's president, Daniel Ortega a reason to invade the Costa Rican Calero island part of a national park. It would be interesting to show how much power Google maps over territory and geography.